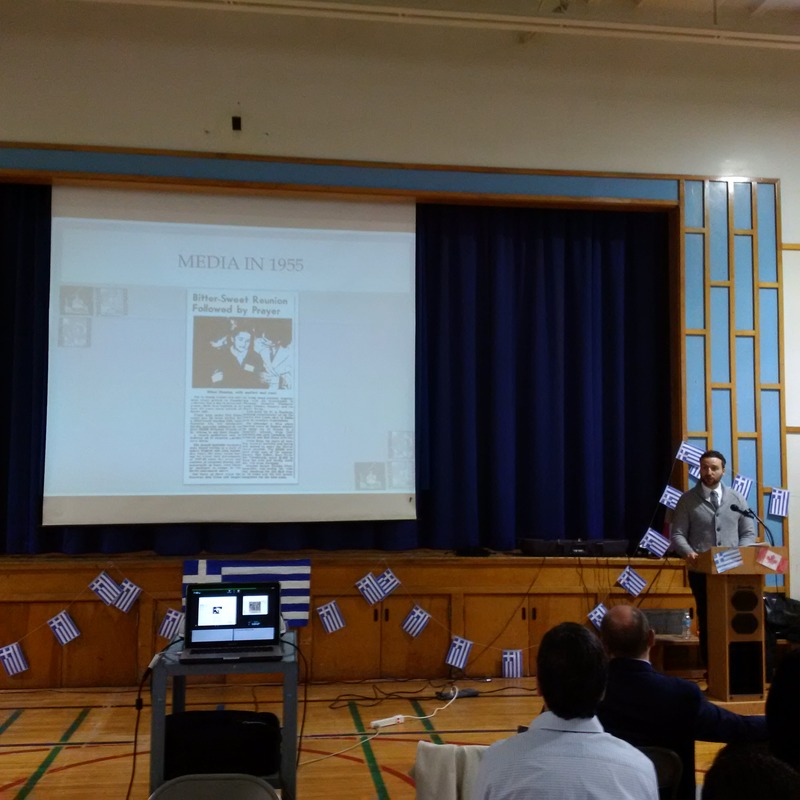 The Greek Canadian History Project had the pleasure of presenting at Terraview Willowfield P.S. 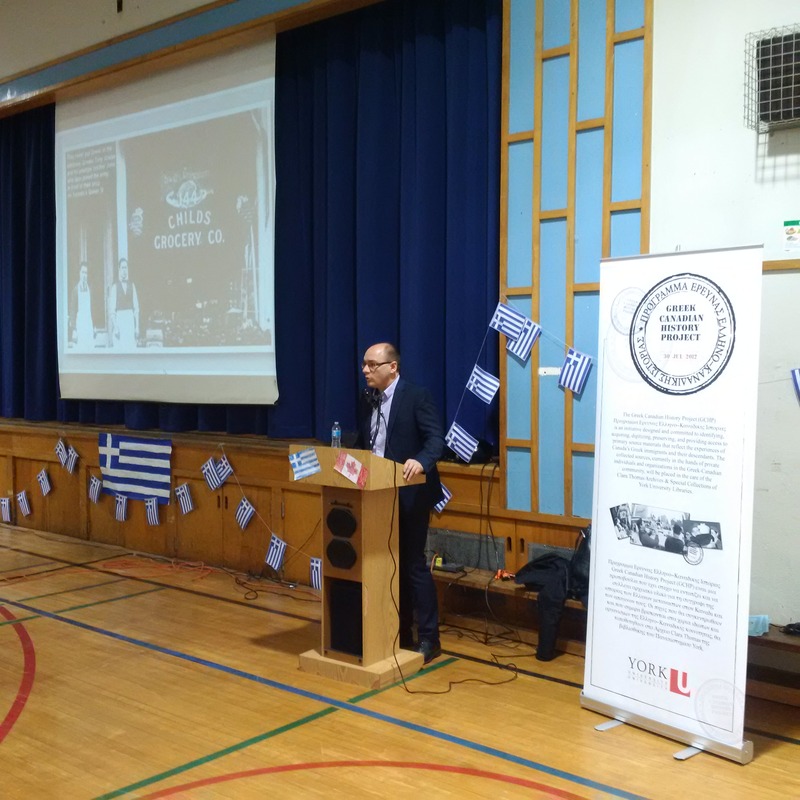 as a part of the festivities taking place during the Toronto District School Board’s Greek Heritage Month. The presentation began with an overview of the GCHP and its social media outreach, given by the Public Relations Coordinator, Kali Petropoulos. The introduction was preceeded with a two part overview of Greeks in Toronto. Dr. Sakis Gekas focused on the pre-World War II Greeks, while Christopher Grafos examined Greeks in the post-World War II era. Audience members were captivated by the images and history that was shared by the co-founders. 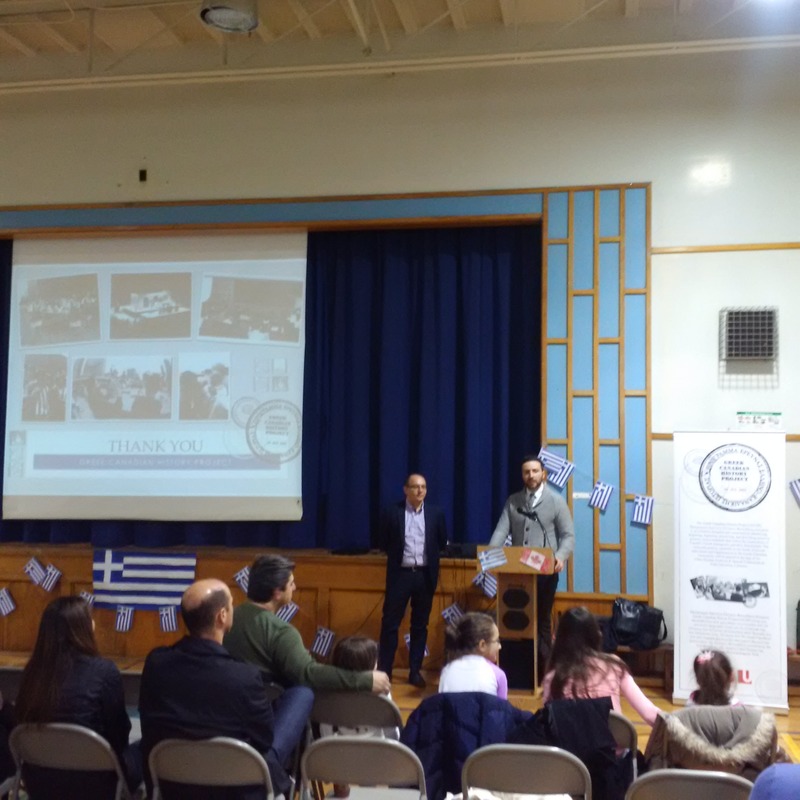 The GCHP would like to thank the Toronto District School Board, the Greek Heritage Month Steering Committee, and the staff at Terraview Willowfield P.S.